Dinosaur Dig Bones Skeleton Excavation Kits for kids Dino Dig party. A perfect for kids digging in the sand activity. 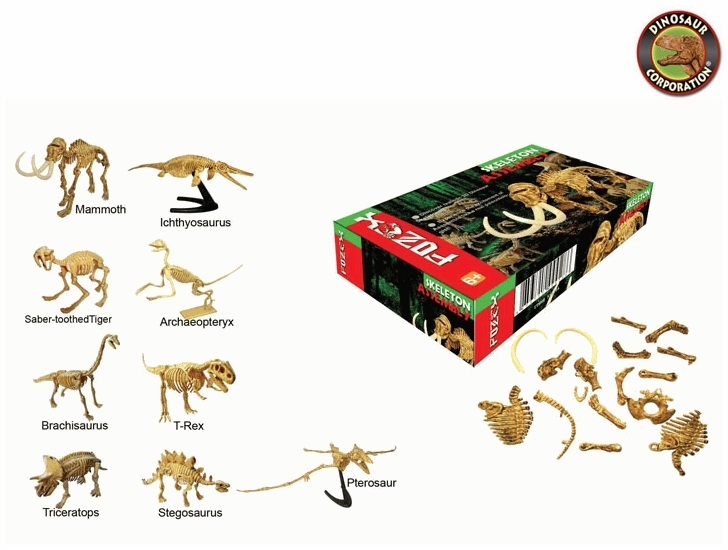 Easy snap-together model comes in a set of 5 dinosaurs and prehistoric Mammoth: Glow in the dark skeleton T-rex, Stegosaurus, Ichtyosaurus, two Pterosaurs and Woolly Mammoth.